D.J. 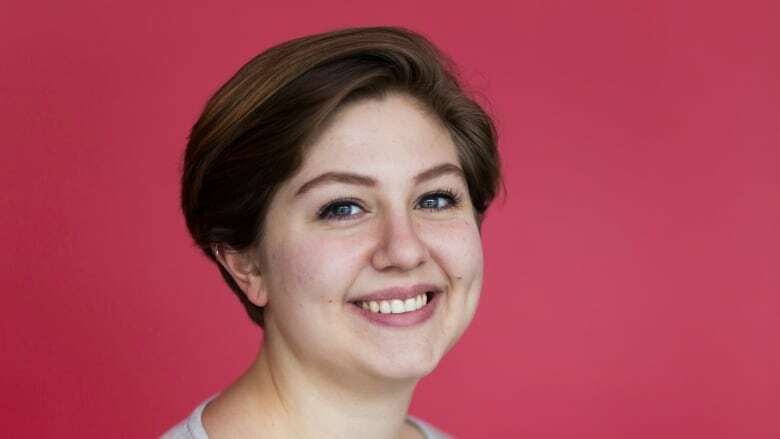 Mausner, who co-created The Experts, a podcast that features women in the comedy scene, tied for 1st with Toronto's Courtney Gilmour in the festival's Homegrown Comics competition. For the first time in its 19-year history, the Just For Laughs "Homegrown Comics" competition has been won by a woman. By two women, in fact — on Friday night, the judges crowned co-winners, Courtney Gilmour of Toronto and Montreal-based comedian D.J. Mausner. Mausner, who co-created The Experts, a podcast that features women in the comedy scene discussing topics related to performing or producing comedy, was one of 10 comics in the competition at le Monument National. "When I do well in a competition, it means I'm given more credibility in the community. I'm trying my best to use that in whatever angle I can to help other women and other comedians get what they deserve," she told CBC Montreal's Daybreak. The winners will get to tape a set that will air on for All Access, a JFL-produced show, that will air on the Comedy Network next year, along with additional JFL performances. The idea behind the show is to highlight Canadian up-and-comers. Mausner said the fact that they are the first women to win is "cool in some ways" but ultimately is a bit of a bummer. "It's a symptom of a greater issue," she said. "There are so many lineups that don't even have one woman." She says she is hoping her win inspires others to perform and promoters to book more women to perform together. The 22-year-old says she is more than OK with sharing the limelight with Gilmour, who she called "hilarious." "I was just pumped to meet her, let alone get to have this really wild experience with her," she said. Contestants in the Homegrown Comics competition are handpicked by JFL producer Zoe Rabnett. They have seven minutes to impress a panel of judges, who rate them based on criteria such as performance, writing and audience response. Some of those judges select the stand-up acts for late night show hosts Conan O'Brien and Jimmy Fallon, and book acts for other festivals worldwide. Mausner said she isn't a political comedian, but her content is political because she believes that in some way, all comedy is political. She's been working on the jokes she performed at Friday's show for months, describing it as a mix of material she believes in and that she likes to perform, material that has worked with audiences before and material that sets her apart. It was the most people she had ever performed for, which affected the way she paced her set and forced her to adjust to the audience's reaction on the fly, she explained. The fact she won is "very cool and very affirming," she said, but there's a flip side. "The curse of the comedian is once you've achieved one milestone, you're like, 'OK, what's the next thing?' It's contract work. It's from thing to thing." Mausner doesn't have an agent, and she's hoping her victory will lead to representation. She has a few projects lined up for the fall, including working on her podcast, some work with Second City and taking part in a series on television channel Viceland. But her biggest project is a move to back Toronto, her hometown, in September. "I want to go to Toronto. There are people there who are doing such funny things," she said. "Getting to learn from them would be a great privilege."